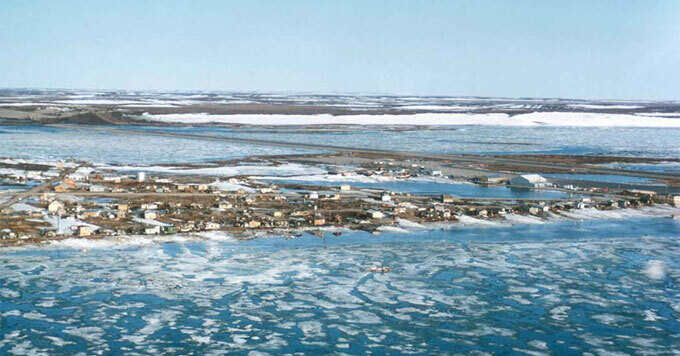 The Alaskan community of Kotzebue lies at the tip of a peninsula jutting into cold Arctic waters. Fran Ulmer chairs the U.S. Arctic Research Commission, which advises the government on Arctic science and policy. She says the loss of sea ice threatens many Alaskans’ way of life. What’s more, with less sea ice protecting the coasts, tides and storm waves cause more erosion. Some villages see no choice but to plan for relocation – a difficult and expensive process.